Do something new with your porter: succulent, flavorful, lick-your-fingers lamb... Ladies and gentlemen, I have done it: beer-braised lamb on Monday night. Yes, braising does take about an hour and a half or more. Vacation must have left me with some extra energy, or hunger, or desire to stay up later... Whatever it was, I invited beer to my kitchen, and it graciously accepted. 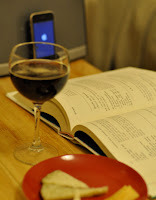 Cooking with beer has a long tradition, but for some reason appears less often in the kitchen than wine. 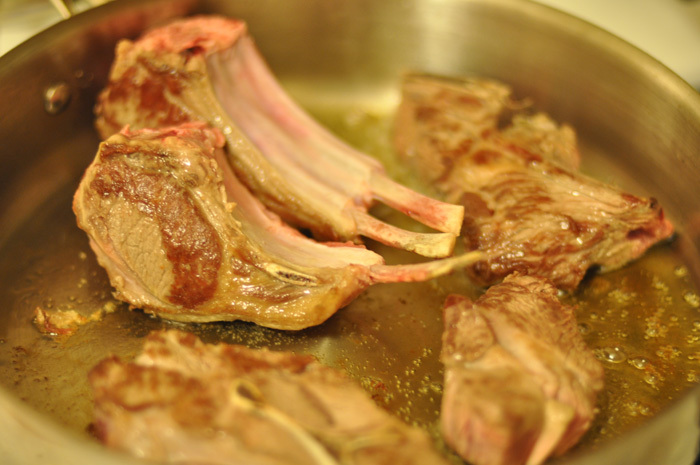 Just like wine, beer works well as a deglazing agent for a pan sauce and is also a great liquid for braising because it has a degree of acidity that helps tenderize the meat. 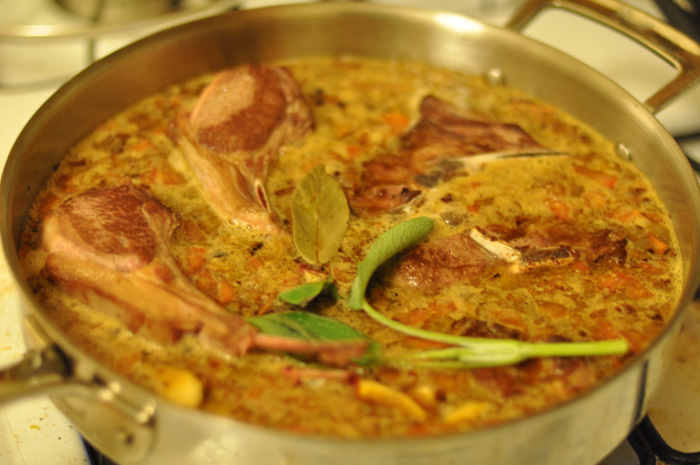 Braising is a technique that involves first searing the meat and then letting it simmer in liquid for a long time. As the result, even the toughest meats taste tender when braised. When picking meat for braising, the less expensive cuts will likely taste just as well. Ready to try it? 1. Searing: Heat the olive oil in a large stainless steel pan on medium high heat. When hot, add the meat cut into portion-sized pieces. Sear the meat on all sides until, removing the pieces that have browned on all sides into a plate. It is desirable for the meat to stick to the pan somewhat. The residue, called fond or sucs, that is left on the bottom of the pan will enhance the flavor of the sauce. 2. Vegetables: With all the meat set aside on a plate, lower the heat and add the onion to the same pan with the same oil to brown. 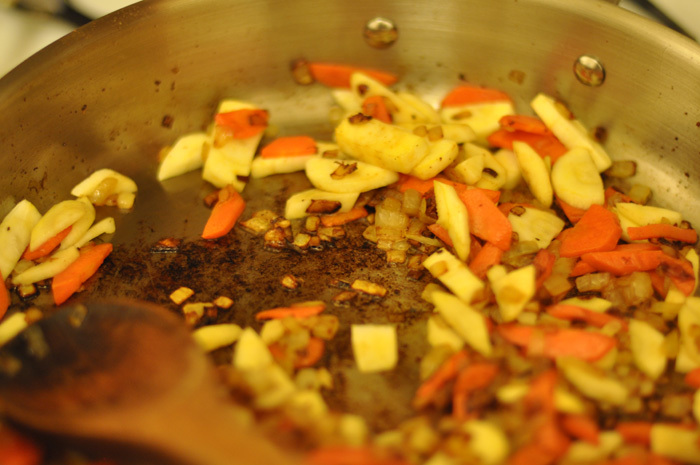 When the onion begins to caramelize, add carrots and parsnips and saute for about 3 minutes. 3. Deglazing: Add tomato and broth to the pan and scrape off the caramelized debris on the bottom of a pan with a wooden spoon. This is easier than it seems: the fond dissolves quickly. Add raisins and beer, salt to taste. Place the meat back into the pan, ensuring that it is at least 2/3 covered (if not, add more beer and broth in the same proportion as before). Place one half of the sage twigs tied together with a linen or cotton string (to be removed later) into the sauce. 4. Braising: Cover with lid and set on medium heat. Ensure that the sauce simmers gently. 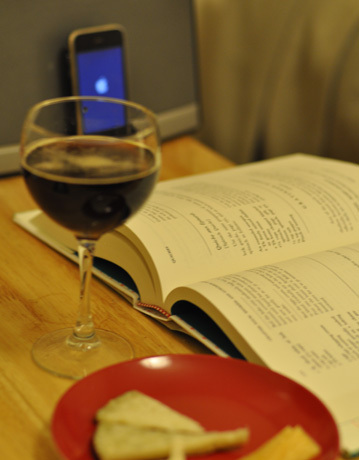 In the mean time, sit down with a glass of good beer to a good book and relax. The lamb should be ready in 1-2 hours. After 1 hour, test the meat for readiness by piercing it with a knife. If it pierces easily, it is ready. When almost done, add the rest of the sage, chopped finely, for an amplified flavor. 5. 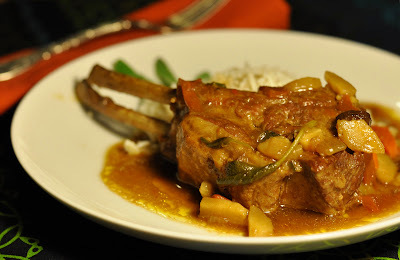 Sauce: Ideally, one should remove the meat again and reduce the sauce, finishing it with some flour. To be honest, the ample beer sauce left after braising is delicious too, though a bit too thin. To make it thicker, mix the flour with a small amount of water in a cup until it is a homogeneous floury liquid. Pour this liquid slowly into the sauce, while mixing it vigorously. Continue mixing the sauce over medium heat for 3 minutes. This can be done without removing the meat from the pan. 6. Eating: Most common side dishes will go well with this meat. Serve the dish with beer, preferably darker varieties such as brown ale or porter. Savor the tenderness and the flavor! * Choosing meat: I was buying meat at Whole Foods, and was deciding between American Lamb Shoulder, $6/lb, and Australian Lamb Chop, $18/lb. In the end, both thriftiness and curiosity won and I bought a little of each. It turned out that the shoulder, the tougher and less expensive of the two, retained more flavor during braising. Perhaps, the chops should have been cooked for a shorter time, but the shoulder was so good, paying three times more for a questionable improvement does not seem justified. ** Be imaginative and substitute these ingredients with something of your own choosing. I found the earthiness of root vegetables, the refreshing flavor of sage and the subtle sweetness of raisins perfect. But, as we say in Russia, "when it comes to colors and tastes, few people remain comrades". Happy experimenting!